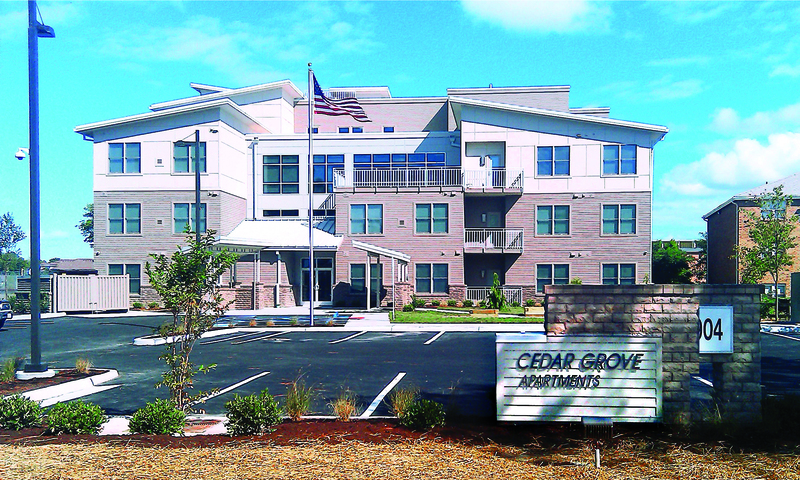 Located in the Bayside area of Virginia Beach, Cedar Grove is the first permanent supportive rental housing in the Hampton Roads region developed for homeless and/or disabled U.S. veterans. This development consists of 32 units of rental housing for homeless and disabled low income Veterans, and includes office space, community lounge, fitness room, and shared green space for its residents. Cedar Grove Apartments received the 2013 Virginia Governor’s Housing Award for Best Housing Development and the 2014 HRHC Across the Region Award.